Woodhall Spa 1940’s Festival shared a post. You may remember that at the end of last year our Churchill, Peter Austwick, sadly passed away. We’d like to let everyone know that to commemorate his service to our festival and everything he meant to us we are renaming our annual Best Re-enactor Award as the Peter Austwick Award for Best Re-enactment. We will award the first prize in Peter’s name in July and then every year to come. With just 95 days to go before the best FREE weekend of the year, we’re getting ready to reveal everything we have planned for you in 2019. From fabulous 40s entertainers, expert swing dancers, awesome BBMF flypasts, immersive woodland re-enactments, dazzling displays to a fantastic Village-wide range of food & drink and vintage traders, you are sure to find lots of ways to make memories in Woodhall Spa on 13th and 14th July. While we get ready to let you know what you’ll find throughout the festival this year, don’t forget to book your parking. Pictured here is Peter Austwick in his role as Churchill at the Woodhall Spa Festival. Peter was a wonderful presence at all our Festivals, he delighted festival goers and had a great time performing as Churchill. Join Woodhall Spa 1940s Festival’s 200 Club Lottery Today! 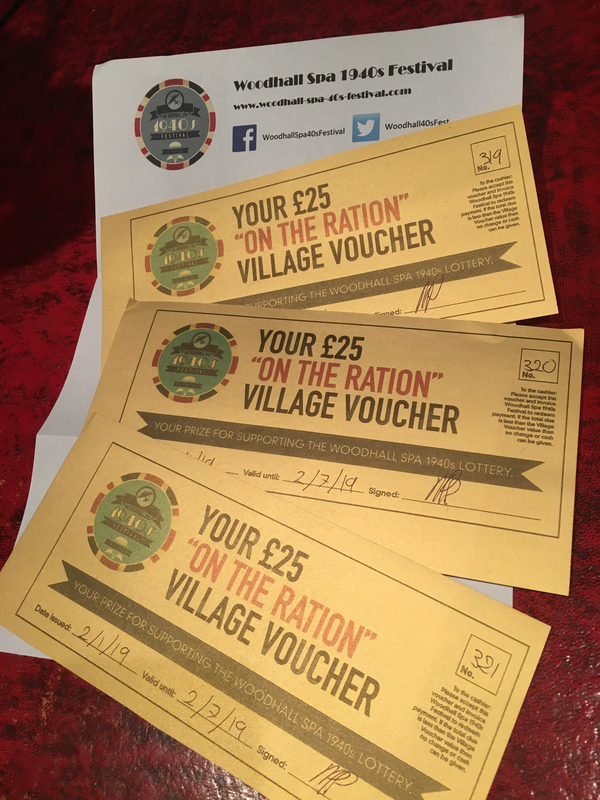 Get your “On the Ration” Lottery ticket and you’ll be helping to support the future of Woodhall’s free 40s festival. Each £1 weekly lottery ticket directly contributes to the Festival, helping to pay necessary costs which will help keep this thriving and unique event as a fixture in the village, year after year. Join our “On The Ration” 200 Club Lottery and you will be in the running to win one of three monthly prizes – £75 in vouchers to spend on goods, services and experiences in Woodhall Spa. You will also have access to special “On The Ration” news and events between now and the event. The Festival committee thanks you for your support, and wishes you the best of luck in winning a lottery prize in the coming months. 1. The Lottery is run as a series of subscription based Small Society Lotteries under the Gambling Act 2005. It is registered with East Lindsey District Council (number 10307/15). 2. The Lottery is operated by the Woodhall Spa 1940s Festival Committee for the sole benefit of the Woodhall Spa 1940s Festival. 3. You must be 16 years or over and a resident of Great Britain to enter; in the event that you win and cannot provide proof of the above you will not be entitled to the prize and will be excluded from future entries. 4. You must complete an “On the Ration” form before playing, giving your name, address, date of birth, contact number and a separate Standing Order form; and you are responsible for telling us of any changes. 5. Payment is either by quarterly Standing Order or the full £52 paid by cash or cheque. If payment is not received by the 7th day (or the next working day in the event of a weekend or bank holiday) your number will not be entered into that month’s draw. Woodhall Spa 1940s Festival Committee will not be liable for any late bank payments. 6. The price for each entry is £13 per quarter and you can buy as many entries as you wish. You will be allocated a unique number for each entry, which will be notified to you. 7. You can cancel your entry into the Lottery by notifying Woodhall Spa 1940s Festival Committee in writing. 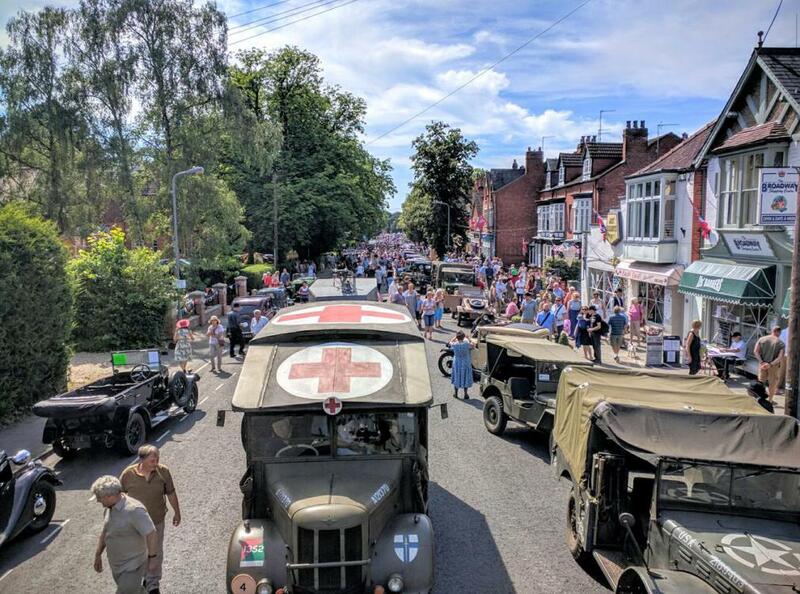 Woodhall Spa 1940s Festival Committee will cancel all future entries but you will not be refunded any payments that have already been received. You are solely responsible for cancelling your standing order with your bank. 8. The draw will take place at on the last weekend of each month using numbered tickets drawn from a hat. All tickets will be checked before putting in the hat. 9. There will be three equal prizes of £75 awarded each month. 10. The draw results will be put on the website by the day following each draw. 11. 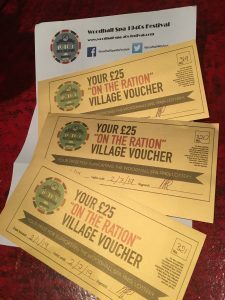 Payment will be by On the Ration voucher redeemable at participating businesses in Woodhall Spa to the winner within 28 days. No interest is payable and there is no cash alternative to the voucher prizes. 12. The Lottery is subject to the laws of England and Wales. 13. Woodhall Spa 1940s Festival Committee reserve the right cancel or refuse entry to the Lottery and reserves the right to change or update the rules and prize fund at their discretion. This decision is final and binding.